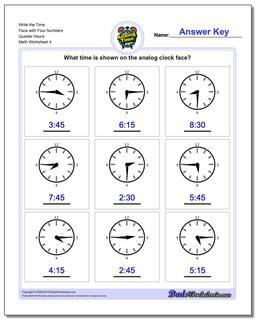 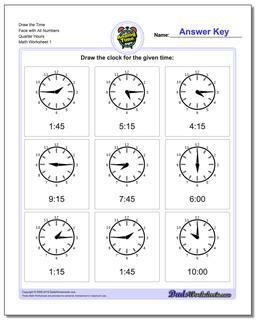 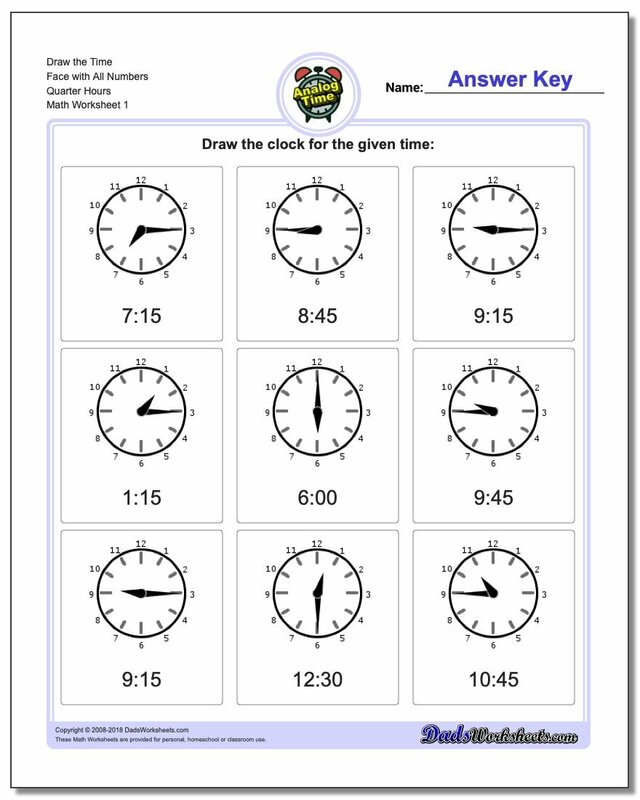 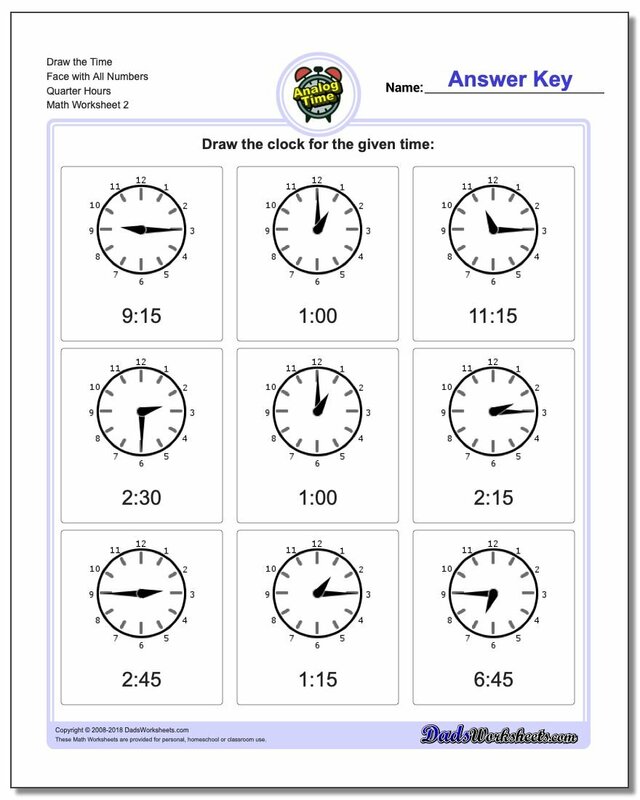 This section contains worksheets for telling analog clock times at 15 minute intervals. 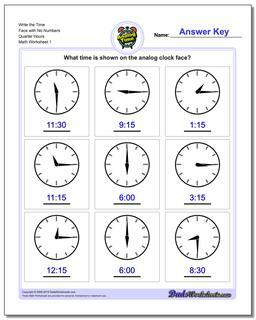 Being able to read an analog clock face and identify times like 'quarter past' or 'quarter before' can be confusing terminology. 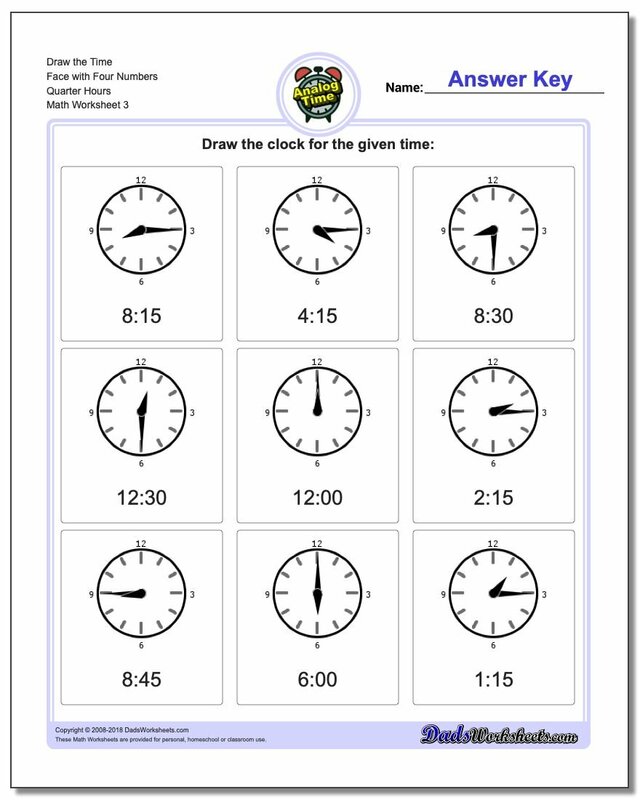 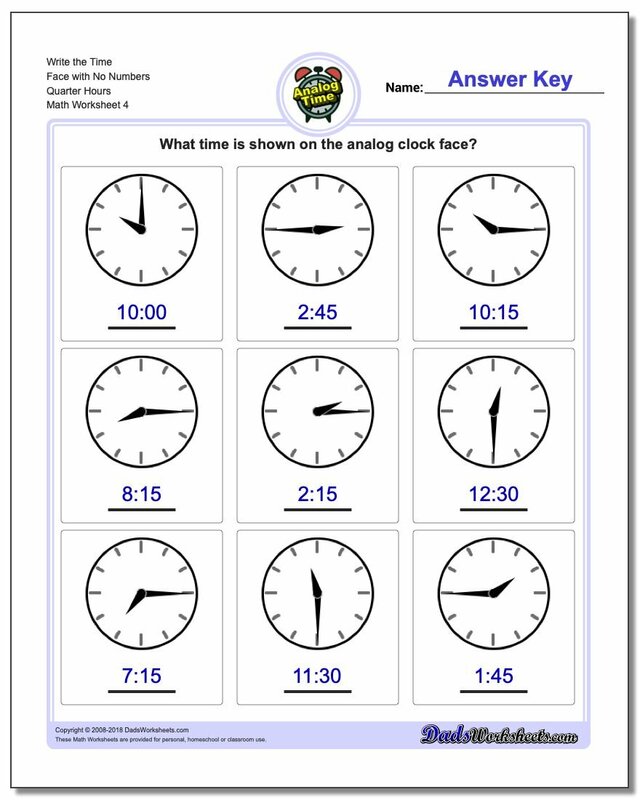 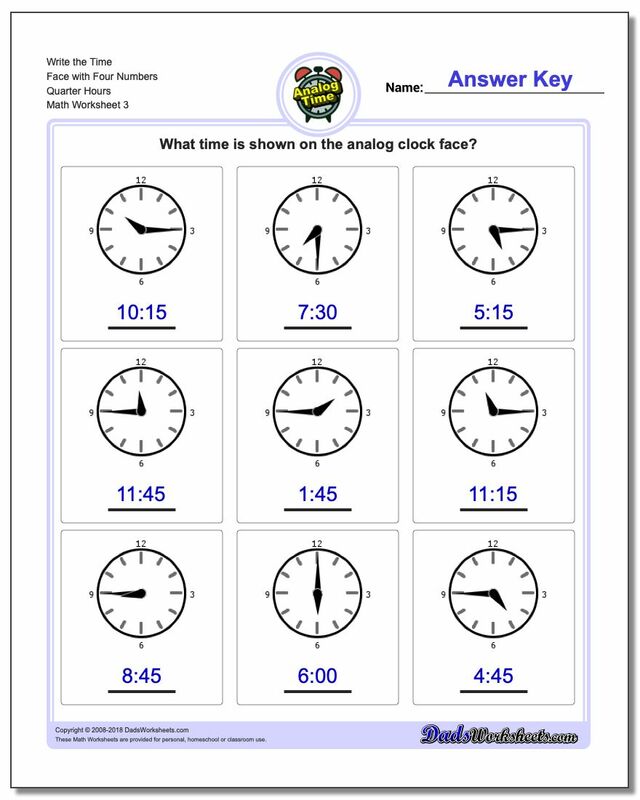 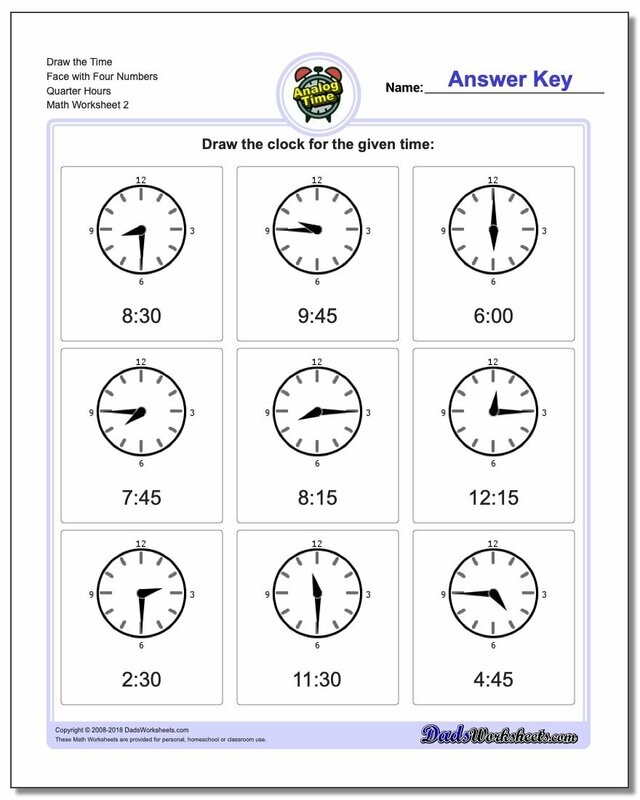 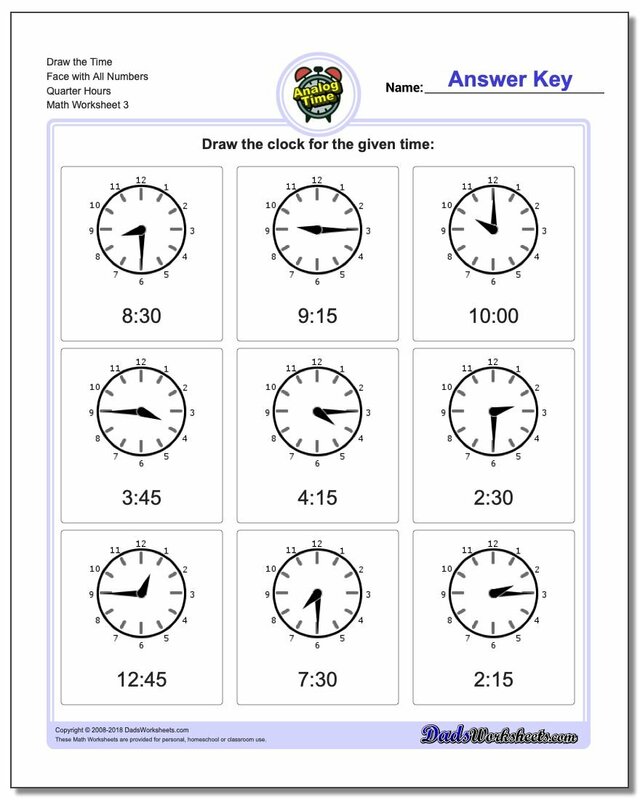 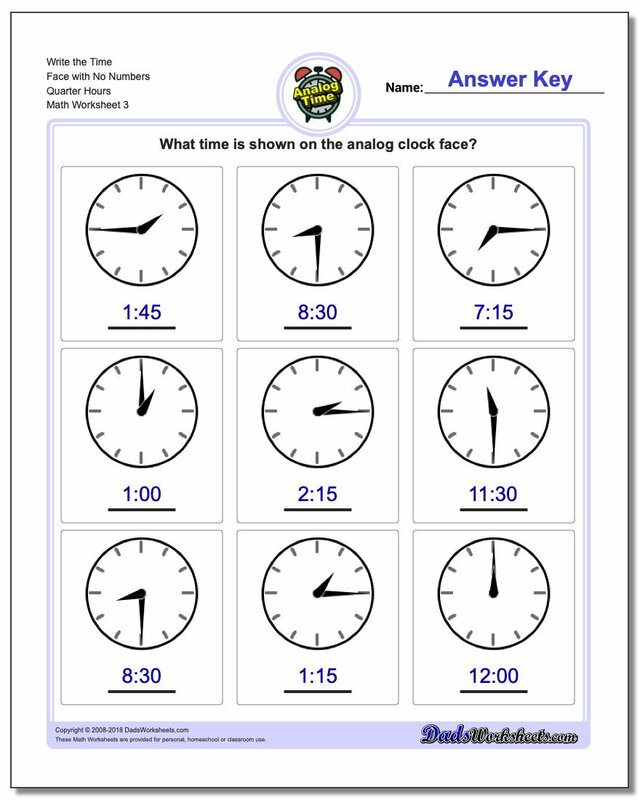 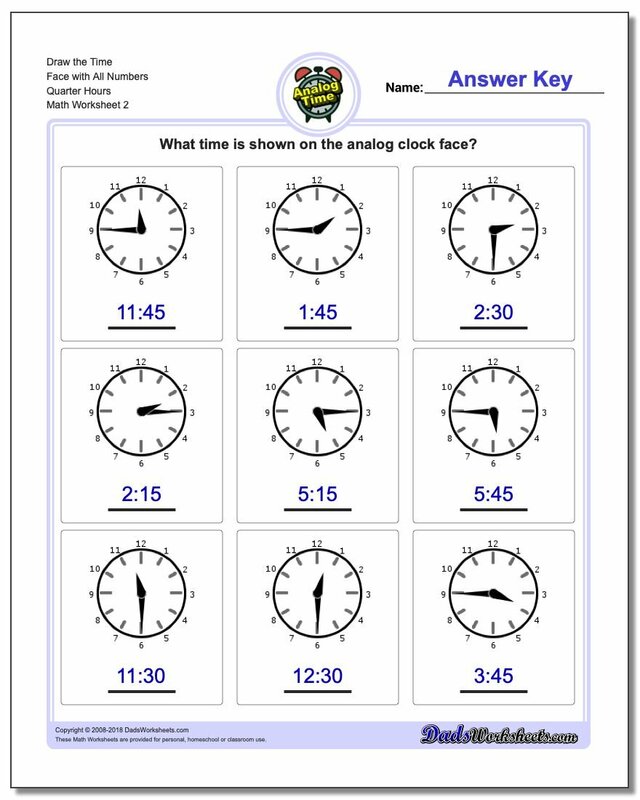 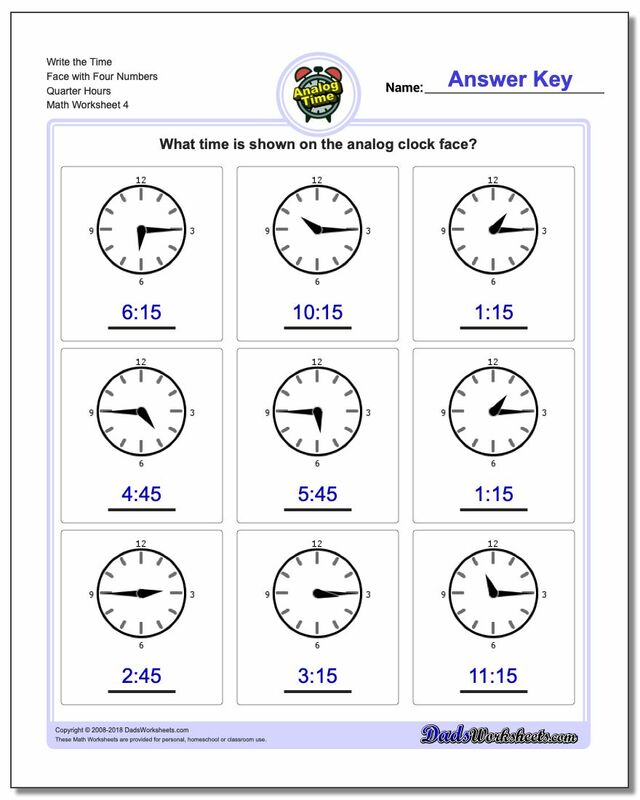 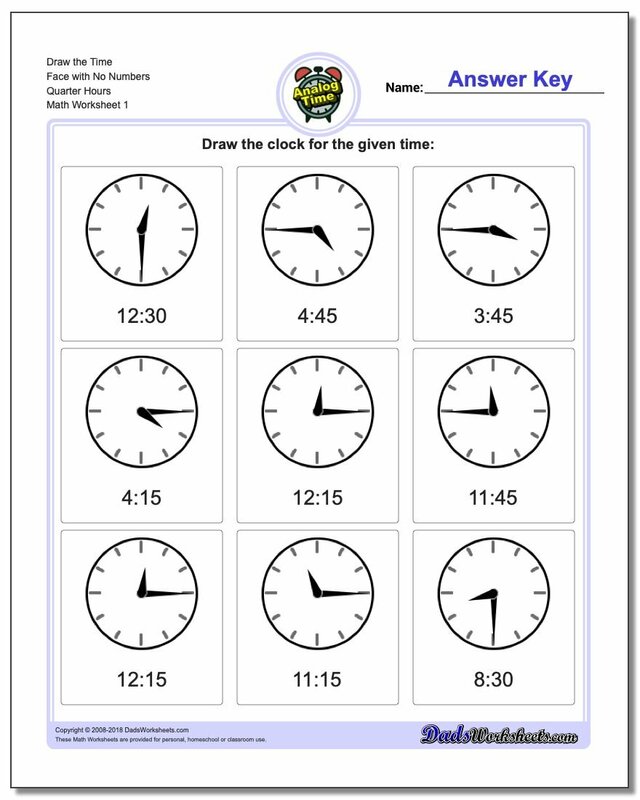 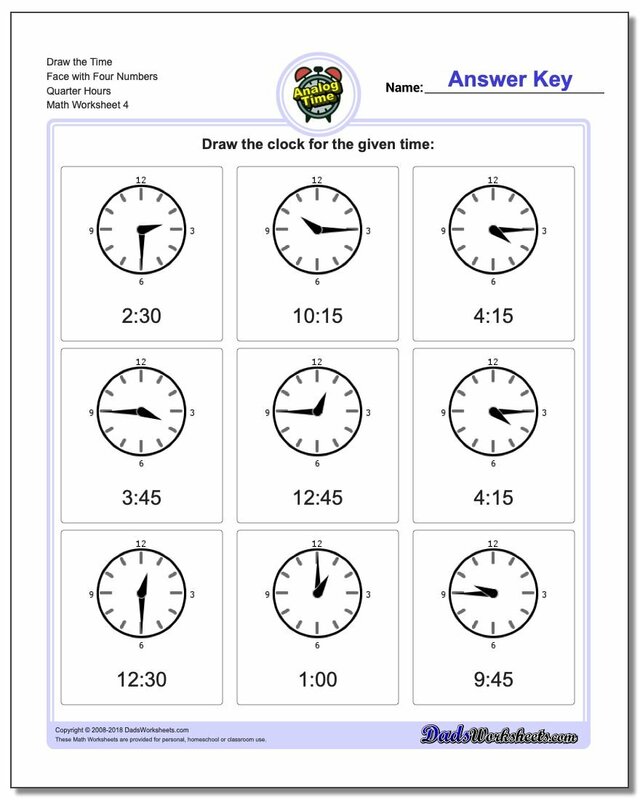 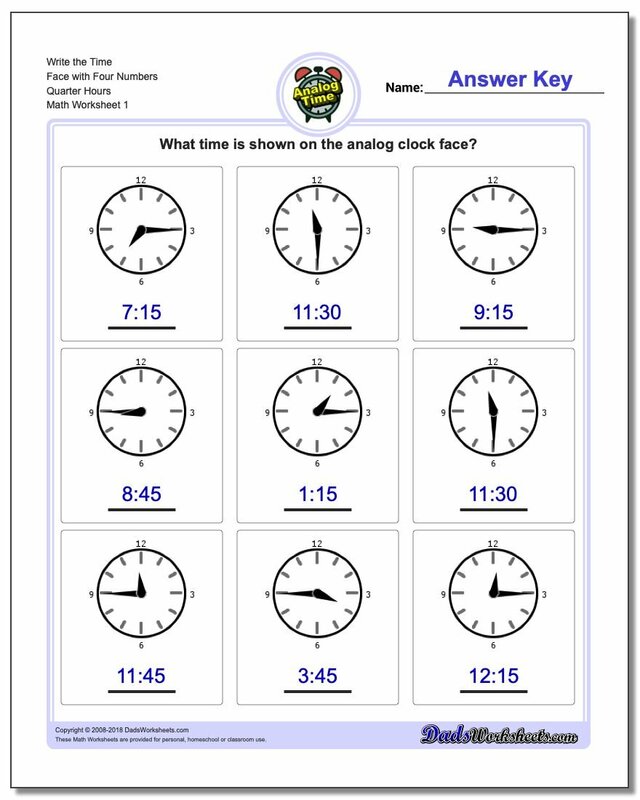 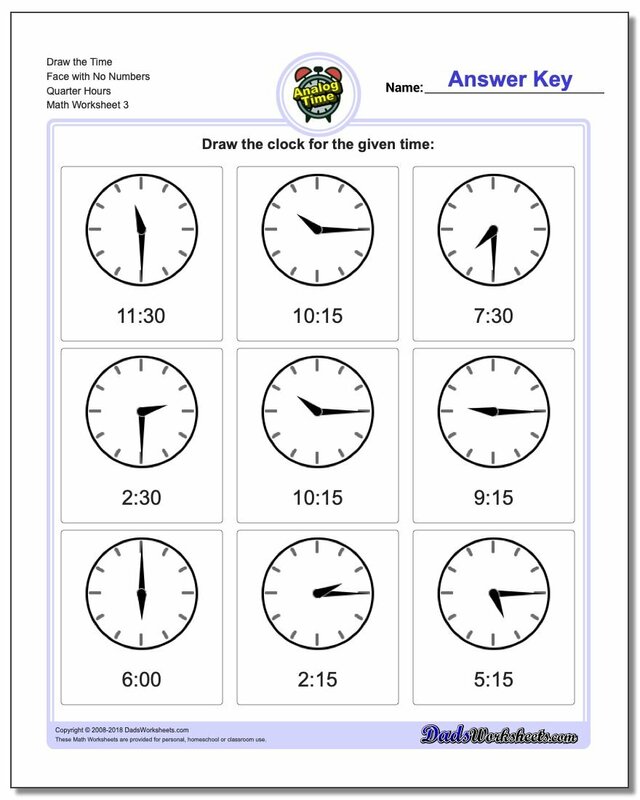 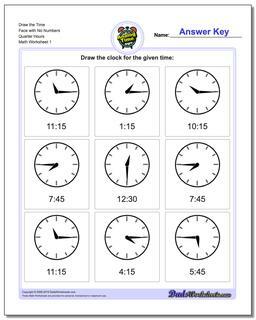 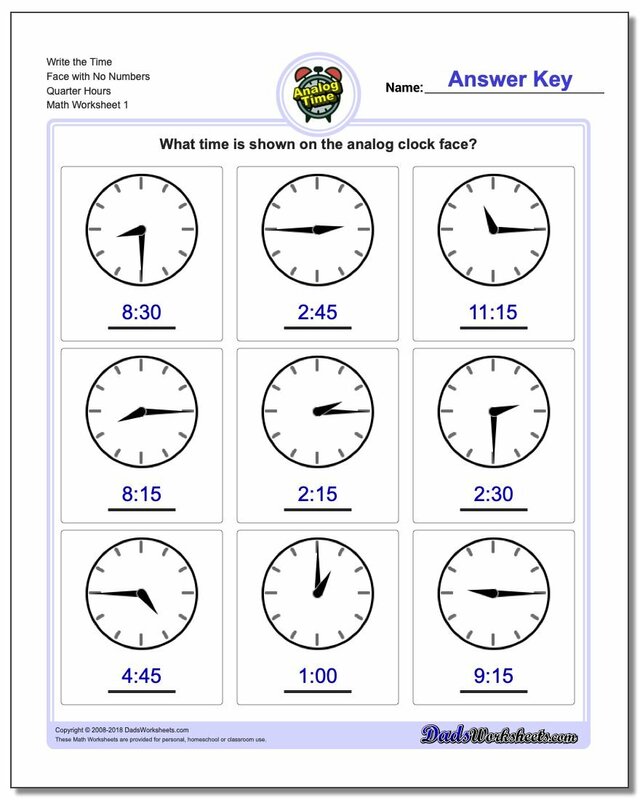 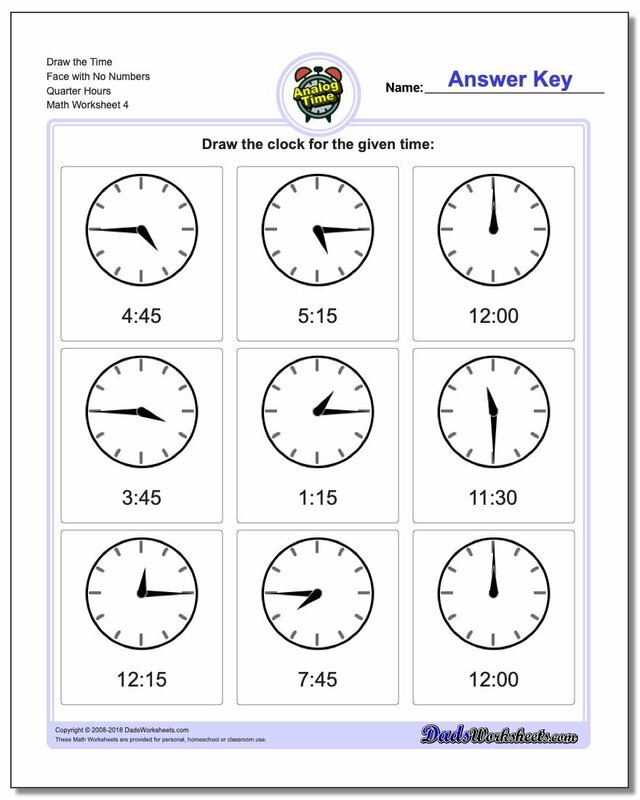 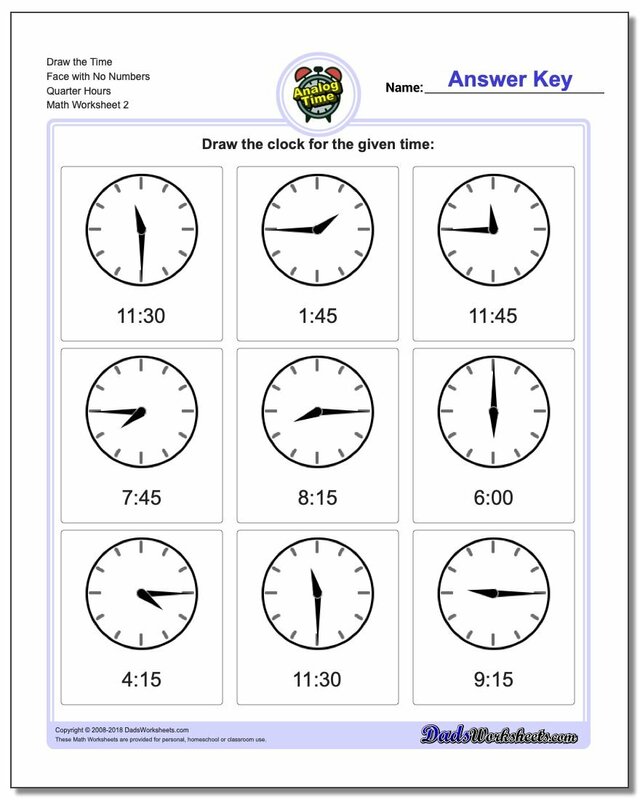 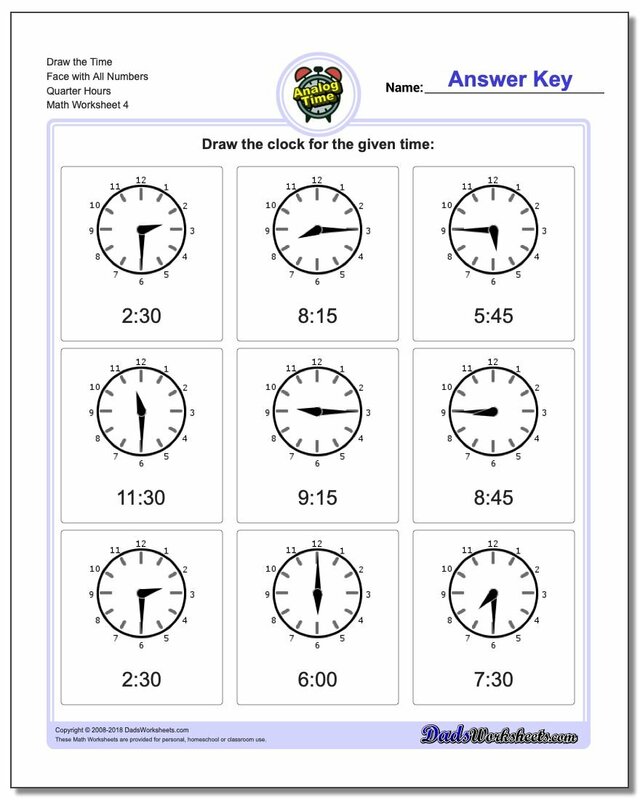 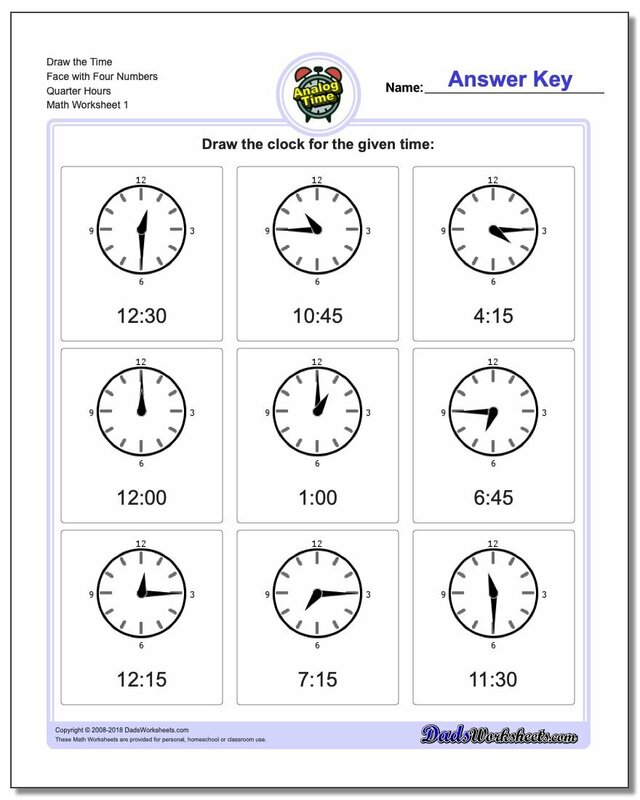 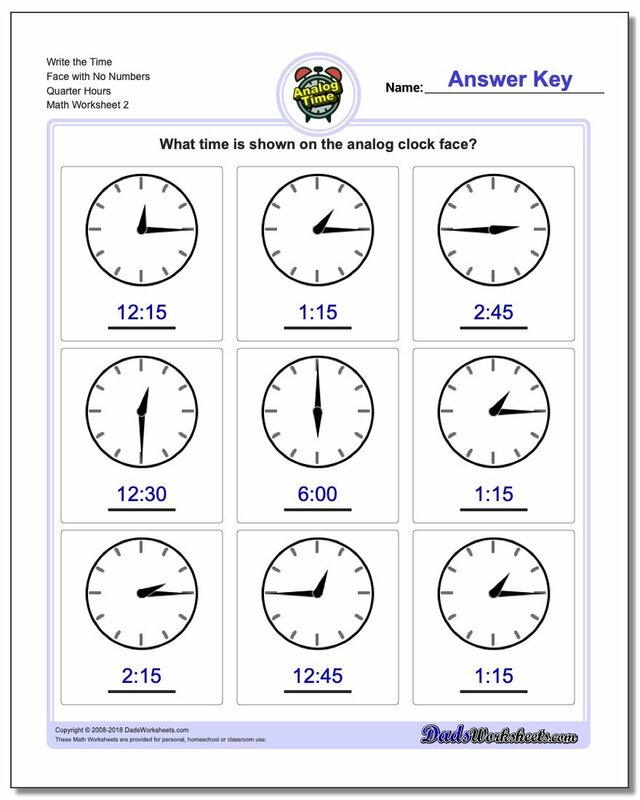 If you are introducing minutes on the clock face, these worksheets can be useful for helping single out these specific nuances of time telling. 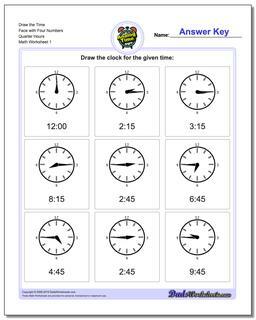 These worksheets work well with the telling time on five minute intervals in the next section, and they may be combined with those sheets to focus more on the concepts of quarter hours where reinforcement is needed.